I wake early on Christmas morning, but not alas excited by opening my presents (neither of them!). In fact the computer by the bed 'accidentally' started playing some music at 5.55am. 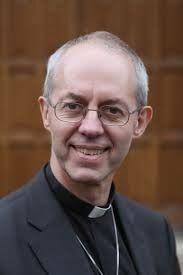 I wake with the words of Archbishop Justin Welby spinning in my head. He had been a guest on Desert Island Discs last week and I'd listened to the podcast yesterday. The words? 'The only certainty in life is Christ'.